RAW Files and Custom White Balance? 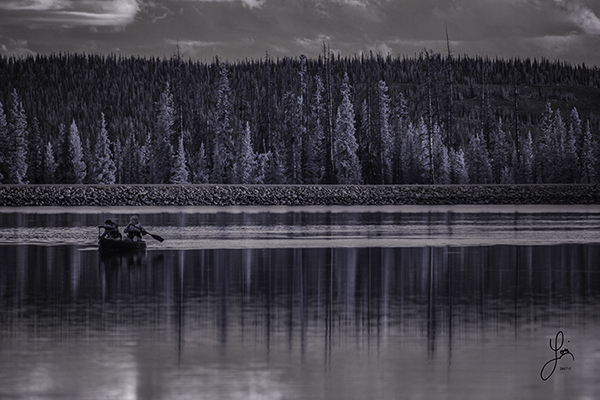 Do you capture RAW files when shooting infrared images? If not, you should be. The benefits of shooting RAW files are too many to mention. The files are large and full of important image information allowing you to process a much higher quality image. But, with most camera makes, the custom white balance information isn't imprinted into the image when written to the memory card. This usually creates a less than pleasing result; a red or magenta cast over the entire image. For starters: Be sure to set an accurate custom white balance by following the procedures specific to your camera model. We recommend using an 18% neutral grey card or other neutral object (sunlit green grass may be acceptable) as the subject for capturing a custom white balance reference image. Also, we recommend capturing both JPG and RAW files simultaneously while photographing. This will provide a good reference of the cameras custom white balance as it is applied to the JPG image using the cameras internal processes and enable you to compare the white balance with the RAW image when making adjustments. When importing your images using Adobe Camera RAW for editing in Adobe Photoshop CC you can select the "As Shot" choice within the white balance menu. 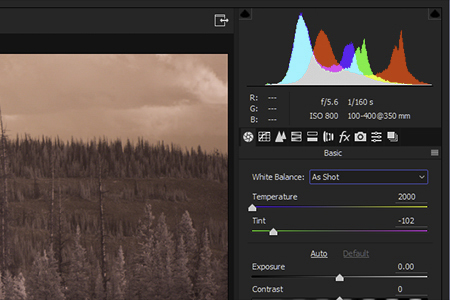 This will often get the image very close to the correct color temperature. Sometimes, a few minor adjustments to the White Balance slider and/or the Tone slider can refine the colors to your liking. This is where it's helpful to have that JPG file to use as a reference to achieve the same result as the original custom white balanced image. Open the JPG image and display it side by side to the RAW image to help with your adjustments if necessary. Usually, Adobe Camera RAW will open the image using the "As Shot" white balance setting but it will still have a very redish or magenta cast. Camera RAW cannot lower the color temperature below 2000k which may be inadequate. The "trick" to overcoming this problem is to open the image at the lowest temperature setting and also lower the exposure slightly (sometimes lowering the color temperature can have an increased luminosity effect as well). 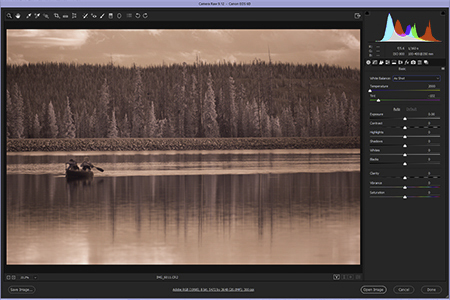 Once the image is open in Photoshop, reopen the Camera RAW Filter (click: Filter>Camera Raw Filter). At this point the Camera RAW sliders will reset back to zero, allowing more latitude for minus/negative adjustments, well below the original limitations of 2000k. It's also helpful to adjust the Tone slider as needed to match the original JPG or for any other variation of your chosing. The amount and need for adjustments varies with every type of IR filter and some of these steps may not be required. Adobe Lightroom: If you prefer to use Adobe Lightroom for your photo editing you can also perform the same basic "trick" as the one mentioned for Photoshop (or Adobe Camera RAW). 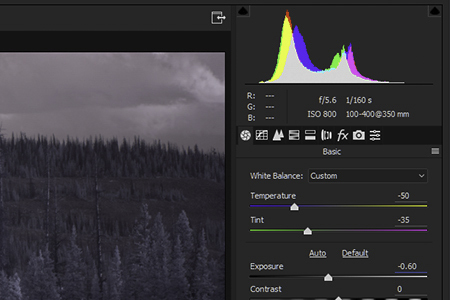 Simply adjust the white balance slider all the way to the left (if necessary) and export the image. Then, reimport the image and click on the Develop tab. The White Balance slider will be set to zero which will allow more latitude for negative/minus adjustments as need to achieve the correct white balance/color temperature. After a few more personal preference refinements you'll have your final result.